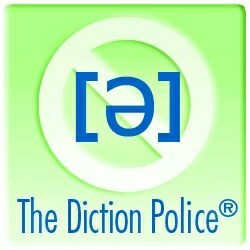 The Diction Police podcast is, in my humble opinion, a must-have resource for every singer. The host, Ellen Rissinger, is a coach on the music staff of the Semperoper in Dresden. She invites native speakers who are singers, conductors, or coaches to read aloud the texts of arias or art songs in the standard repertoire (and sometimes not-so-standard repertoire). Then they have a discussion about the basic pronunciation rules, the finer points of diction, the most common mistakes non-native speakers make, and diction issues where experts may have differing opinions. The podcast covers the standard languages of Italian, German, and French and has also ventured into Russian, Czech, Hungarian, Swedish, Norwegian, Spanish, and British and American English. The podcast’s website has several useful indexes–you can browse episodes by language as well as by aria/song title, and there is an episode guide. It’s really useful for both general language/diction learning as well as polishing specific arias. Also, her Seven Steps to Learn Music are my gold standard for learning repertoire. The Diction Police podcast is an incredibly rich resource, and I think it speaks to Ms. Rissinger’s expertise, love of lifelong learning, and generosity of spirit that she produces it and makes it available for FREE. It is a great gift to the world of singers. You can subscribe to The Diction Police through iTunes or with your favorite podcatcher app (I use DoggCatcher on my Android phone).